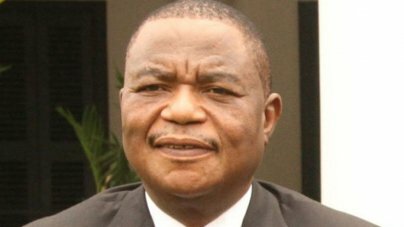 VICE-PRESIDENT Dr Constantino Chiwenga has called on the Hwange Colliery Company Board to heed calls by Government to step down, saying corruption investigations into suspended managers would be followed through. The VP added that the board should accept the changes as Government was determined to see the successful turnaround of Hwange Colliery Company which has been boosted by the recent commissioning of Hwange Power Station Stage 7 and 8 expansion by President Mnangagwa. President Mnangagwa recently officiated at the ground-breaking ceremony for Hwange Power Station Stage 7 and 8 expansion. The expansion is expected to generate an additional 600 megawatts which will see the company double its current average production which stands at about 600 megawatts. Speaking last Wednesday at a rally in Hwange, VP Chiwenga said Government had nominated its nominees to the new Hwange Colliery Company Board and this decision should be respected to pave way for new appointments and the revival of the company. However, the changes by Government have not been effected since those being dropped have to resign on their own accord in the absence of an Extraordinary General Meeting. The two directors who have been asked by Government to resign include Mr Edward Tome and Mrs Masuku. The two have refused to resign despite the fact that the appointing authority, Government, is calling on them to resign. The two are refusing to resign citing concerns that their board cannot be dissolved in the midst of corruption investigations involving senior managers at the company. VP Chiwenga said Government was determined to see to it that all concerns were addressed and these include the corruption investigations. The VP reiterated that Hwange Colliery Company almost went into liquidation in 2016 and that financial position should never be repeated again. He gave Government assurance to see to it that payment for outstanding salaries for employees would be honoured. He emphasized that Government, working through the Minister of Mines and Mining Development, Mr Winston Chitando would make sure that problems that have hogged Hwange Colliery Company over the years would be addressed. Hwange Colliery Company narrowly escaped liquidation in 2016 when a creditors’ scheme of arrangement was put in place. It is understood that reports from the administrator of the scheme Andy Lawson indicate that the company has managed to honour its scheme obligations to date. The Sunday Mail Business understands that of the four current board members serving on the board, Government has requested two of them to step down and has further proposed the appointment of an additional four directors, bringing the total number to six. It is understood that the second largest shareholder in Hwange Colliery Company British tycoon Nicholas van Hoogstraten withdrew his directors to the board about three years ago and the director representing Acer Mittal, the third largest shareholder resigned in 2017. This left only Government appointed directors on the Hwange Colliery Company Board. VP Chiwenga told the rally last week that the officiating of Stage 7 and 8 expansion by the President presented huge opportunities for Hwange Colliery to significantly increase production and enhance its viability.